Welcome to Barnton Community Nursery and Primary School. Thank you for visiting our website. It contains all of the information you need about our school and keeps you informed about all of the opportunities we provide for our pupils. As a school of opportunity, we deliver the best possible education and experiences for all of our children. Our aim is to inspire our children, to believe in themselves and to achieve their full potential. Our learning environment reflects our high standards. Learning inside and outside the classroom provides children with the knowledge, skills and understanding to ensure social and academic success. 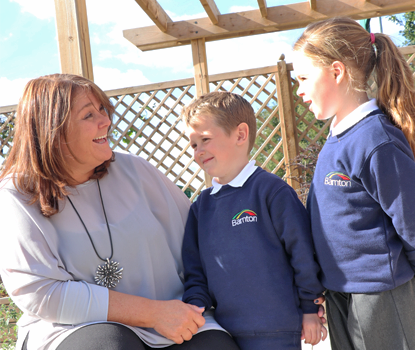 I am proud to be the Headteacher of Barnton Community Nursery and Primary School. Should you wish to visit, I’d be delighted to show you around.